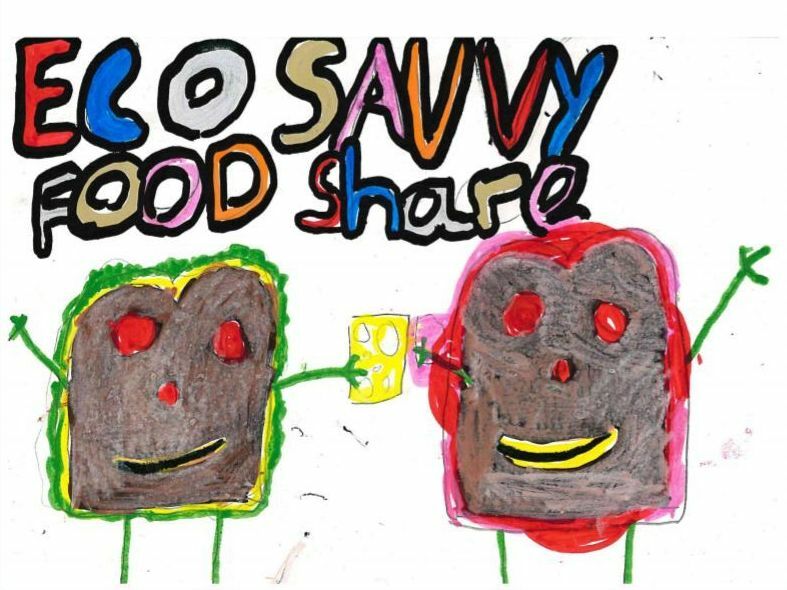 Rhea Webster of Shiskine primary has been selected as the winner of a drawing competition for Eco Savvy who were looking for a logo to represent their popular food share scheme. 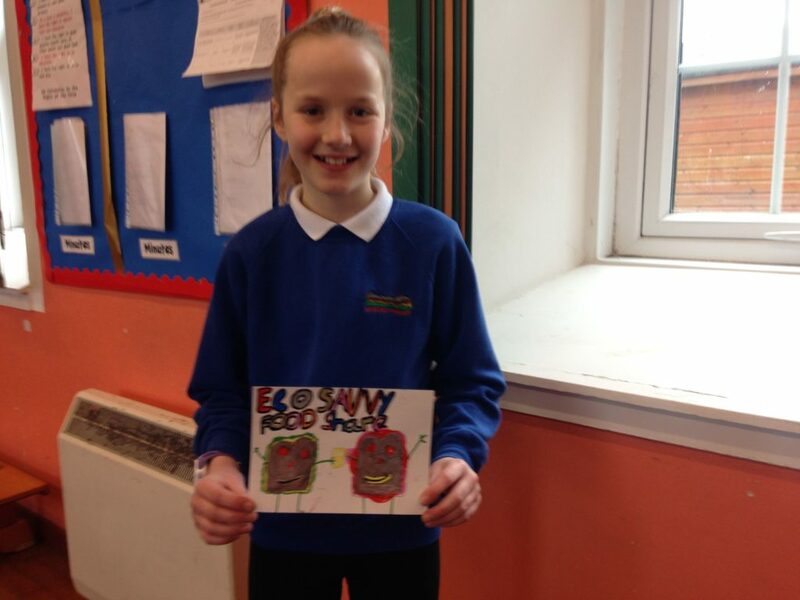 With contributions from both Eco Savvy and Co-op, the two partners in the initiative, Rhea won a prize of £150 for her school to spend on an environmental activity or project. 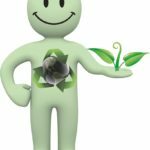 The Eco Savvy/Co-op food share scheme allows Eco Savvy to redistribute surplus food from the Co-op which would otherwise be sent to the bin. The items are either nearing, on or past their best before date but are still perfectly edible, and most important of all, they are given to anyone who wants them for free rather than being wasted. Since being approved as a food share partner with the Co-op last December the Eco Savvy food share scheme has been steadily growing and gaining more and more interest across the island. 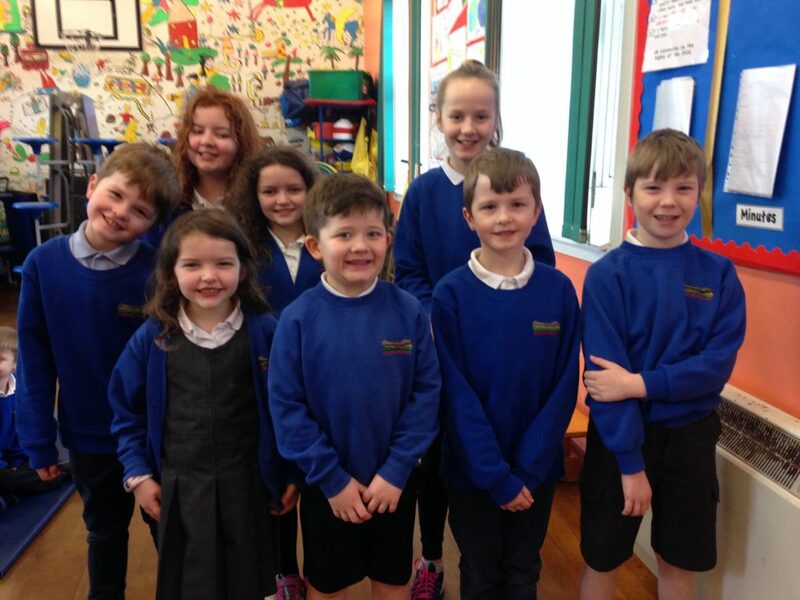 With the ongoing success and growth of the scheme it was decided to hold a competition for the children on the island to design a logo that could be used in promotion and advertising. 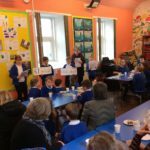 The competition was launched at the annual Be Green event at Whiting Bay hall where primary school children were asked to design a logo that was simple, bright, colourful, bold and clearly showed the food share message. 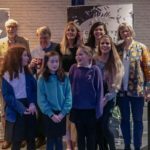 Representatives from the Co-op, Visit Arran and Arran Theatre and Arts made up the panel of judges who selected the winning logo designed by Rhea who receive the prize money for her school.